What’s your favorite class? P.E. What is something that Daddy always says to you? You are my monkey mac. How does Daddy make you laugh? Do funny things. Like jokes. So my recent post didn’t work. I’m now officially more pregnant than I’ve ever been. The downside of having your first baby at 38 weeks (which felt about perfect to me and the healthy baby I was happy to deliver) is that, if you’re me, you expect your second one to come by that time, too. And you set your mental clock to it. And when your body hits the snooze button, you feel off kilter, in addition to uncomfortable and just done already already. The upside of having your first baby at 38 weeks is that she’s still a manageable size when she comes out. If I’m starting to get anxious about giving birth, it’s the size issue that’s starting to feed my anxiety. They’re longstanding issues: see Jayne’s birth story, which I just republished below. How crazy is it that I’m hoping to go through that again, and as soon as possible? Any day–except tomorrow–would be a great day for this baby to arrive. 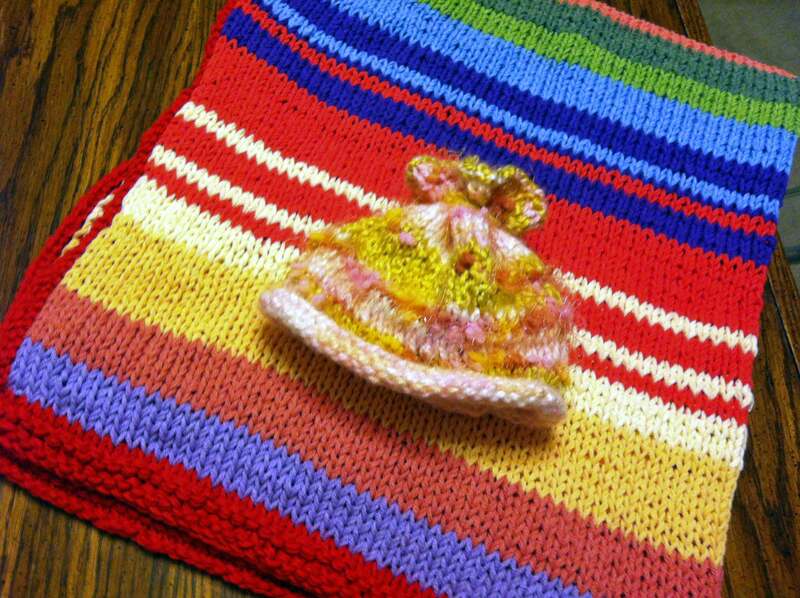 Around this time with my first pregnancy, my nesting activities consisted of amassing a stockpile of baby socks and knitting knitting knitting. When we were ready, I literally called “olly olly oxen free” on my blog–and out she came a couple days later. This time, my nesting stage feels complete much earlier. My knitting projects are done. My baby sock compulsion… continues. in my defense, approximately 90 percent are hand-me-downs. Uncomfortable and feeling bruised on the inside from the kicking and stretching, I’m ready to shout “olly olly oxen free” at this point. 37 going on 38 weeks is enough. As I told my OB at my appointment last Friday, “I’m done.” My OB responded that, yeah, this part is more uncomfortable the second time around. But I should be patient and take it easy, yadda yadda, we want the baby to stay put at least another week, blah blah blah. The rest of this pregnancy has gone so quick, but this last, waiting part feels sooooo slow. We’re ready to have another baby around this place, for, lo, we are plumb out of babies at the moment. Absolutely, completely, no babies here right now. None. For, yes, officially, our first baby is now a big girl (sob!). She corrects me straight away if I call her my baby. 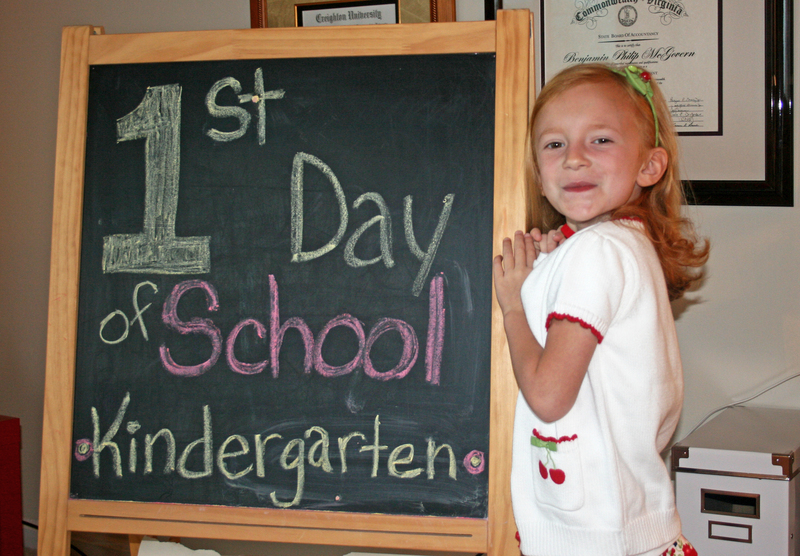 After all, she’s a kindergartener now– starting tomorrow. A kindergartener! (blubbering over here). So, yes, we’re ready for a new baby around this place. Just, it can’t happen tomorrow. Or I might burst. But the day after? Bring it on, olly olly, bring it on.